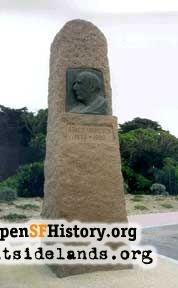 An edited version of this article originally appeared as part of Hamilton Barrett's "Secrets of San Francisco Monuments" tour on a defunct Web site. It is republished here courtesy of the author. 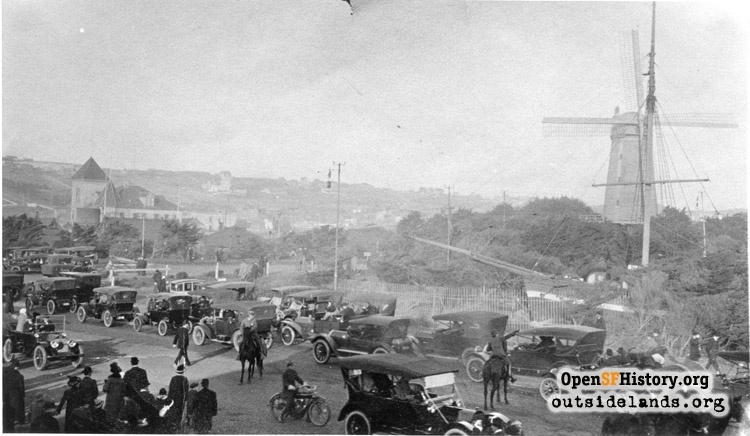 This site is located along the Great Highway at San Francisco's Ocean Beach, in the parking lot of the Beach Chalet Restaurant on the western edge of Golden Gate Park. The only monument here is a 12-foot "bauta," or stone shaft, made of Norwegian granite, and it features a relief of Roald Amundsen (1872-1928). The shaft has been here since 1930, and it marks where Amundsen's ship, the Gjoa (pronounced "Joe") was in dry-dock. 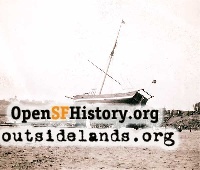 It had been pulled ashore here in 1909, and placed on dry-dock display, after being given to the people of San Francisco from its Norwegian community. The ship's story is very much like the belief that unless you show someone you love them, they might go away. As a teenager I remember Amundsen's ship, and how the locals usually zipped by without stopping to read the plaque. In 1972 the ship was returned to Norway. The secret: Roald Amundsen was one of the world's most important explorers. Between 1903 and 1906 his crew were the first to navigate successfully the Northwest passage, from the Atlantic to the Pacific. Along the way Amundsen's expedition had determined the position of the Magnetic North Pole. 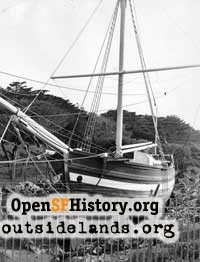 And the epic adventure was completed when this 69-foot sailing ship entered San Francisco in 1906. Its arrival was greeted with great celebration and acclaim. Amundsen later became the first to reach the South Pole, in a larger ship, the Fram, and he was quite a successful lecturer and writer. His scientific contributions and adventures are graphically recounted in such books as the North West Passage (1908), The South Pole (1912), The North East Passage (1918 -1920), Our Polar Flight (1925), First Crossing of the Polar Sea (1927), and My Life As An Explorer (1927) It's the Northwest Passage journey of the Gjoa, however, that connects Amundsen to San Francisco. 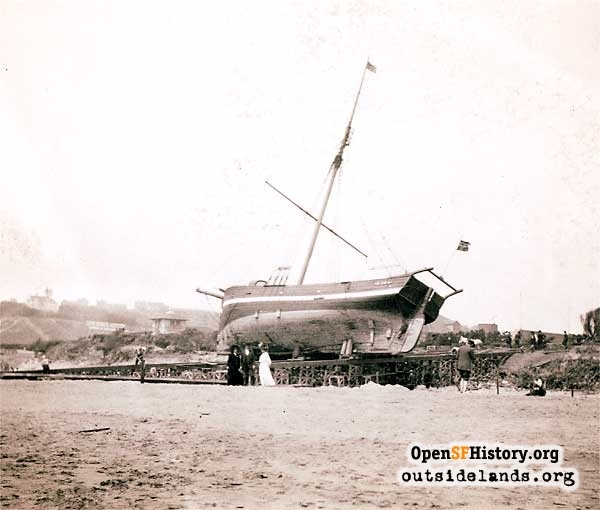 The Gjoa's crew was quite lucky to survive that ordeal, for vicious storms and massive waves tossed the little ship. In one particular incident, Amundsen concluded that his sled dogs were about to jump overboard in an instinctive effort to save themselves. This caused him to issue a peculiar order directing the crew not to express the slightest fear. The dogs raced around the ship, stopping at each crewman's post in an effort to read faces, but were unable to decipher how close to death their masters knew they were. Today the Gjoa is doing well in Oslo, Norway, where Amundsen is a familiar national hero. And having gone through a detailed restoration, the ship draws thousands of visitors each year. Page launched 1 July 2002; updated 7 May 2008.